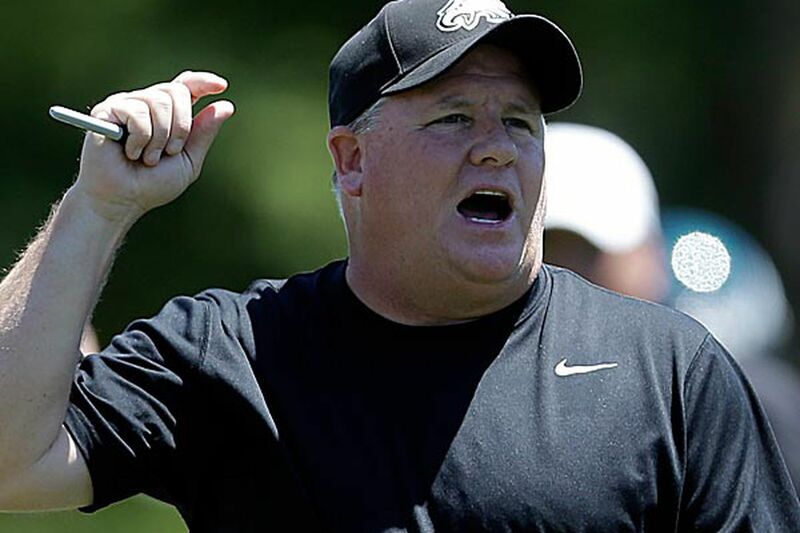 Will Chip Kelly be facing tempo tension? THE MOST important Eagles story of the day, in a long view sense, might just have been the one in the Wall Street Journal yesterday with the headline: "NFL to the Eagles: Not So Fast." We all know that Chip Kelly wants to play fast, especially in the first half and when he doesn't have a lead in the second half. We also all know that he explained his philosophy to the New England Patriots a couple of off-seasons back, and the result has been that the Pats ran more plays than anyone in the NFL last season, and by a healthy margin. But now, the NFL is marking territory. "We have to make sure teams understand that they don't control the tempo, our officials do," said NFL vice president of officiating Dean Blandino. "We're going through our normal ball mechanics, we aren't going to rush [unless] it's in the 2-minute drill." I've been interested in this dynamic pretty much since the Eagles hired Kelly. I wrote a column about it in May, talking to new offensive coordinator Pat Shurmur about the whole dynamic. If the offensive team does not substitute, there is no restriction on how quickly the next play can be run - except that the officials need to have spotted the ball and are ready, which means that the umpire has to have returned to his position in the backfield (or behind the defensive front in the last 2 minutes). If the offense does substitute, the defense has to be given an opportunity to react with its own subs. If the referee feels the offense is moving too quickly, he can instruct the umpire to stand over the ball until the referee tells him to move. But how quickly is too quickly. As Shurmur said in May, "It's a feel." The prediction back then, which I will reiterate again after reading the story in the Wall Street Journal, is that this will be an ongoing tension for the Eagles all year, and that the level of tension will vary from week to week, depending upon the mechanics of the officiating crew in that game. But there was a tone to the story that was interesting. As Derek/IgglesBlog wrote on Twitter, "More than a whiff of 'this is how we do it in the Big Leagues, college boy,' in those quotes, too." That is exactly the impression I was left with, as well.